High ceilings? 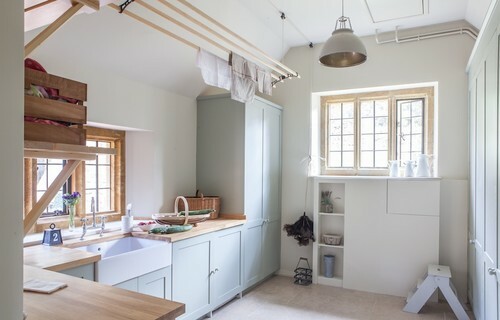 Your kitchen can also double as a laundry space—just install a drying rack above the sink for a creative, less cluttered home. 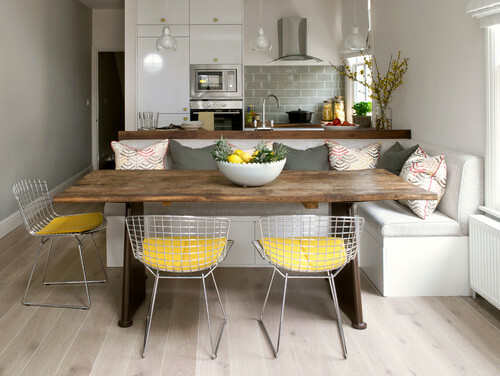 Casual or formal, the cozy appeal of a dining room or kitchen booth is irresistible either way! Wood adds warmth to any room. 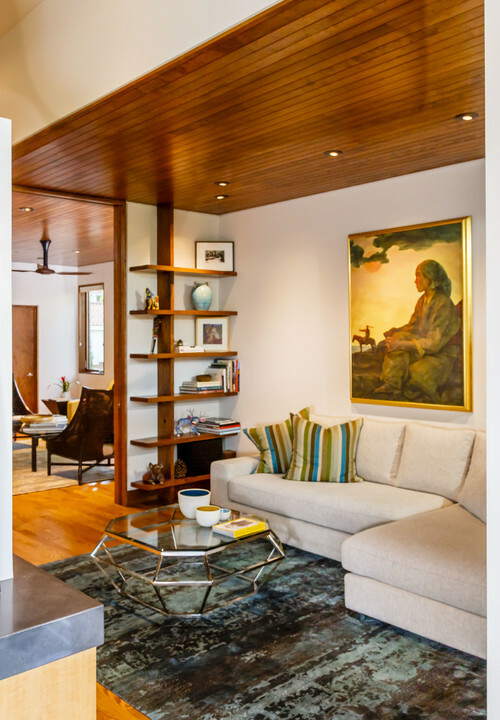 Oak shelves or post and beam ceilings keep it cozy—even with crisp modern designs. 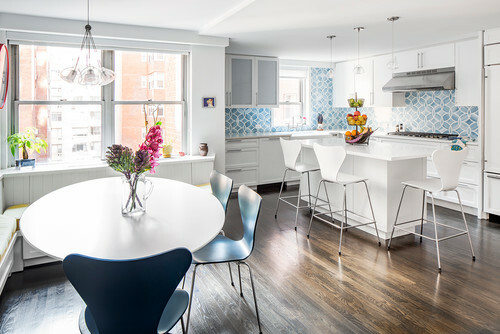 Cool blues and whites in the kitchen give a relaxed, ocean aura. 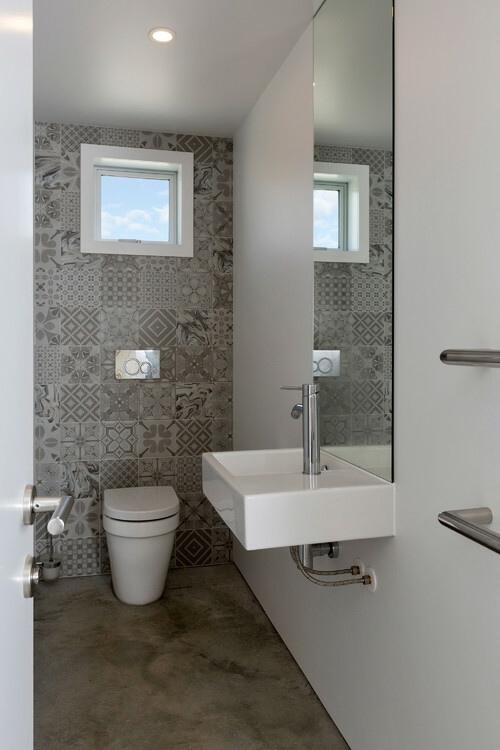 Encaustic tile adds the perfect pattern pop to any bathroom.